The annual ICDP Training Course took place from October 6 to 10 at the Franz Josef Glacier (New Zealand) nearby the parallel running ICDP Deep Fault Drilling Project (DFDP) that aims at sampling and monitoring the Alpine Fault at depth. 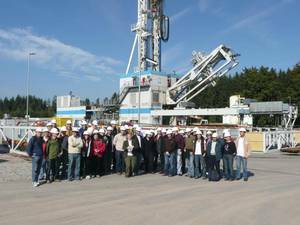 33 graduate students, PhD students, early-career scientists and senior scientists involved in currently running or upcoming scientific drilling projects attend the training course. The lecturers touched upon relevant aspects of scientific drilling in active fault zones, including drilling engineering, rock and fluid samples and sampling strategies, pre-site studies, downhole logging, permanent downhole monitoring, data management, and project planning and management. 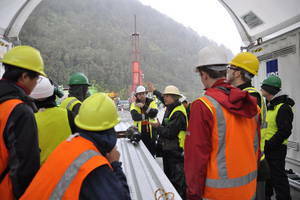 Practical exercises and a one-day visit of the drill site helped deepen the acquired expertise.